Homemade face masks are something which our mother and grand mother used to make and give a lot of tips regarding this. Face masks are pretty common and due to our busy life schedule we always tend to opt for readymade face masks rather than preparing one by ourselves. I am not telling that readymade face masks are not effective because even I use them and some are pretty much effective. But I personally prefer homemade face masks more when compared to the readymade ones. Because I can make it according to my skin condition and I have the control over the ingredients that I am adding to it. 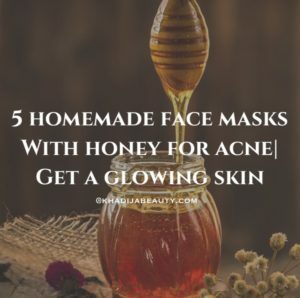 So today I am going to share with you 5 homemade face masks with honey that are effective on acne. These are not just the random picks and compilation from the internet. These 5 face masks with honey are my favourite and I use it all the time. To be frank I am using only honey face masks for the past 2 months. I had the worse breakouts of my life and I was worried a lot about it *typical girl I am* Then I solely depended on these honey face masks which I am going to list below and La Roche Posay effaclar range (click for reading the detailed review). And I am so happy that they worked well on my acne. These honey face masks treated my acne and also improved my skin texture. They gave me back the glowing skin which I used to have. 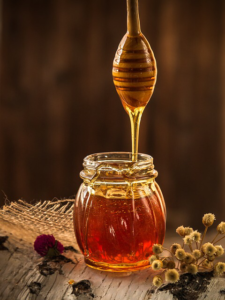 As I have said in my earlier homemade face masks post, honey is an amazing ingredient when included in the skincare regimen. And the list goes onnnn. Caution: Before trying any of the honey face masks make sure you are not allergic to any of the ingredients. Yes, honey alone can also be applied all over the face. As I said above that they have numerous benefits it does work when it is used as a face mask without mixing it with anything. Make sure you use raw honey. Raw honey is very effective on acne and also it makes the skin firm. Apply raw honey on your face and leave it for 20 minutes. Wash it with warm water. Milk is a good cleansing agent. Again make sure that it is raw milk. Raw milk is also known to treat acne and remove the dirt. Milk also tones the skin and improves the skin complexion. 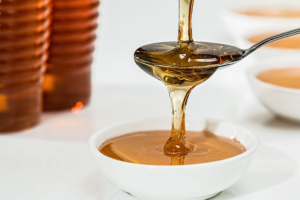 Mix up all the ingredients and apply this honey face mask all over your face. Leave it for 20 minutes and rinse it with cold water. Milk and honey moisturize the face, helps in healing acne whereas cream acts as mild exfoliant removing the dead cells. This is very common face mask. But did you ever think why is this so common? Because it is actually effective in reality. Banana helps in removing the scars and pigmentation. It also helps in exfoliating. Smash the ripe banana well and then add honey to it. Make it into a paste and apply a thin layer of it all over your face. Leave this banana and honey face mask for about 20 minutes and wash it off with cold water. You will feel your skin nourished, clean, soft and healthy. 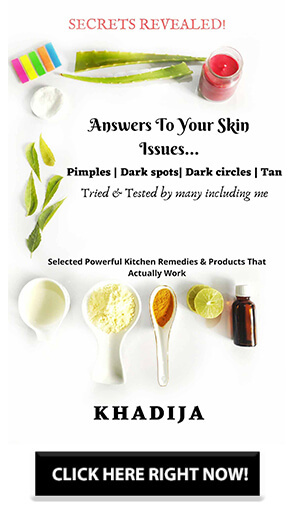 This is again a very effective and a strong remedy for treating acne. Cinnamon contains an aldehyde called “cinnamaldehyde” along with other components that are very effective in treating bacterial infections. And this is the reason why they are super effective on acne also. Cinnamon powder- Add the cinnamon powder in such a way that a paste if formed. I personally use this particular honey face mask for spot treatment. Make a thick paste of this and apply it on the affected area and leave it for 3-4 hours. You can leave this overnight too. But I have never tried it leaving overnight because I would feel it sticky & uncomfortable while sleeping. The cinnamon powder also acts as an exfoliator and at the same time works in drying out the acne. It is advisable to use raw honey. Raw honey is more effective. None of the above face masks would work if you are not consistent. Apply those masks every alternate day for best and noticeable results. Make sure to perform a patch test. I have tried all of them except honey and cinnamon one. I must try this. Thanks for sharing. Very helpful post I will try for sure. This was very helpful. Need to try this face pack. Excited to try out these simple DIYs ? Which honey brand you have been using? Very helpful and detailed post khadija. I will try with milk one. Very useful and informative post. I should give these masks a try. Especially with milk one !